There's nothing quite like synchronicity, especially when it manifests itself in popular culture. Many people are familiar with The Dark Side of Oz, the synchronization between the film The Wizard of Oz (1939) & Pink Floyd's Dark Side of the Moon (1973). That 'sync' is pretty incredible and I highly recommend watching it. 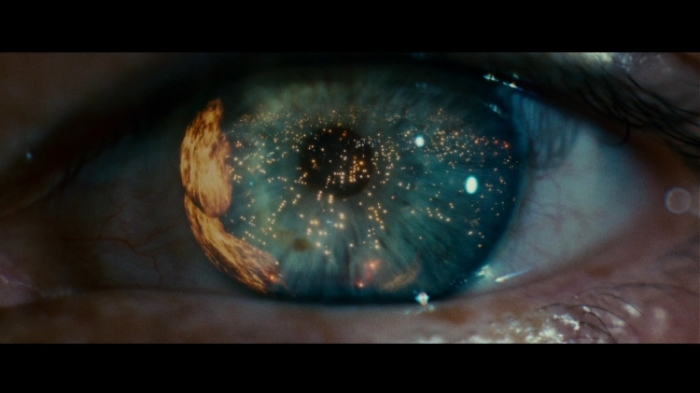 However, when I was in high school and beyond the 'introductory sync,' my brother mentioned to me another Pink Floyd sync with an even better film- Pink Floyd's Echoes (1971) & Stanley Kubrick's 2001: A Space Odyssey (1968). I find this synchronization equally as compelling as the Dark Side of Oz, if not moreso for both the film's enigmatic ending sequence and for the experimental quality of the song. Although the members of Pink Floyd have always denied any intentional pairing of either sync, it is interesting to note that Kubrick at one point did ask Roger Waters if he could use the track Atom Heart Mother Suite (1970) in the film A Clockwork Orange (1971). Waters denied this request and later stated in an interview that this was "one of the greatest regrets of his career." Coincidence or not, there is nothing quite like getting together with some pals and pairing it up yourself with great speakers and a solid tele setup. "I've been told" this experience is greatly increased with the aid of psychedelic drugs. Either way, thanks to the internet, some people have paired the two and made it available for us all to see without the hassle.